Find out in this video the spirit YOUR MARKS YOUR FUTURE. What is "You set your future"? It is a course for unemployed women (preferably long lasting). With it offered tools to achieve self-esteem and skills to cope with job search (or self-employment) in the best conditions and maximizing the skills and attitudes of the students. Most of the unemployed population in La Rioja are women (A 18,60 % Women face a 12,46% of men. EPA data 2016). It should be borne in mind that employed women monopolize the vast majority of temporary work (he 75,2% temporary contracts 2015. According to report U.G.T). Getting a job is a social and cultural expectation acquired since childhood and reinforced at school and the nearby environment. Unemployment and insecurity cause a devaluation against the other, especially the family and create contacts break with the social environment and labor. 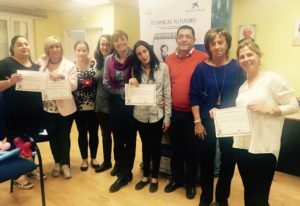 The students in this town who participated in the course supported by Obra Social La Caixa in 2017 They have established links and continue to meet and exchange information. “Every morning gave us energy course” Susana tells us, one of the participants. Albelda group is currently preparing a workshop of social networks for job search with the help of the mayor of this town. Themselves and encouraged a self-esteem and assertiveness talk to other women in the village. about 50 % of course attendees supported by La Caixa has been employed. 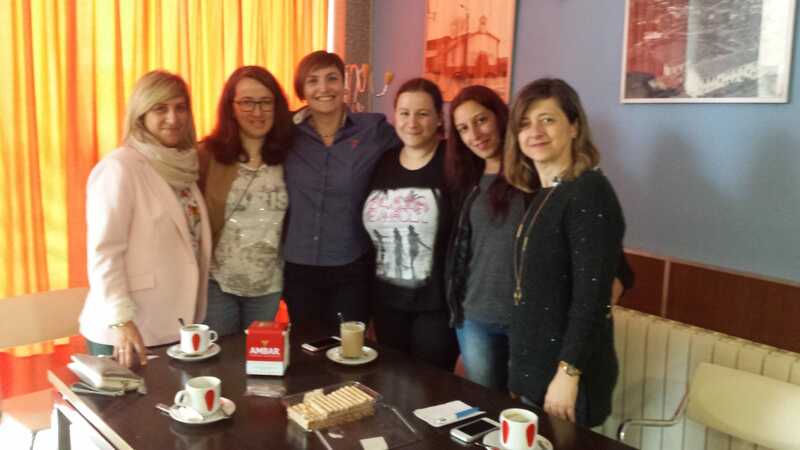 Alumnae group “You MARK YOU YOUR FUTURE” with the forming of E-mocionado (third from the left). Since 2013 We have conducted more than 10 courses with nearly 200 participants. These courses are conducted with the close cooperation of municipalities and their social services. It is working closely with social workers to finalize all the details and deadlines and make the ideal selection of students. We want to expand our project and reach many more women especially in the Rioja Baja and the Comarca de Haro. 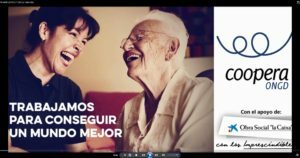 Queresmos also broaden the focus of our project and also reach over 45 a&ntilde;os (men and women) they need a very important support. So we continue to work on our content and experience through valuations surveys we conducted interviews with students and social workers. We also continue to seek funding for a needed project already endorsed 5 years of positive experience in La Rioja.